XIII. The music of history | I've got beauty, brains and now lymphoma! When misfortune strikes, history responds with a resonating call for action. Skim the books of history, connect the dots and find that action is a pattern. When President Theodore Roosevelt lost both his mother and his wife on Valentine’s Day, he etched a haunting ‘X’ on the date in his journal followed by the words, “The light has gone out of my life.” He then jammed as much action into the next two years of his life as a cattle rancher in the midwest to stay one step ahead of his demons. Regarding his approach to life, he stated, “Get action. Do things; be sane; don’t fritter away your time; create, act, take a place wherever you are and be somebody; get action.” When polio struck President Franklin Delano Roosevelt, he forced himself into a painful rehabilitation program and eventually became America’s longest serving President. He lived by the motto, “You must do the thing you think you cannot do.” Winston Churchill signed documents throughout WWII with, “Action this day.” The annals of history all declare that there is only one way out of the most impossible situations. On the other side of anguish is action. It’s easy to fall into a trap and I missed my first call to action. My most poignant life memory is of a long drive with my family at night in a car reeking of silence. Abruptly my Dad parked and without a word led my sisters and I into a field ablaze with a thousand eyes cutting through the night sky. In the middle of the field floating in a sea of stars my Dad broke the wretched silence. My stepmom lost her battle with cancer at the age of 45. I immediately thought back to the last time that I heard the warmth of her voice. As I sat at her bedside, she whispered to the hospice nurse, “This is my daughter, isn’t she beautiful?” I stood frozen, full of inaction and the field still echoes of my shrilling screams. With my second chance I refuse to be caught standing idle screaming at the stars adding deeper darkness to the sky. It’s not in despair that I paint the picture of my second chance for you, it’s in hope. My second chance begins with me standing confidently on top of the world. 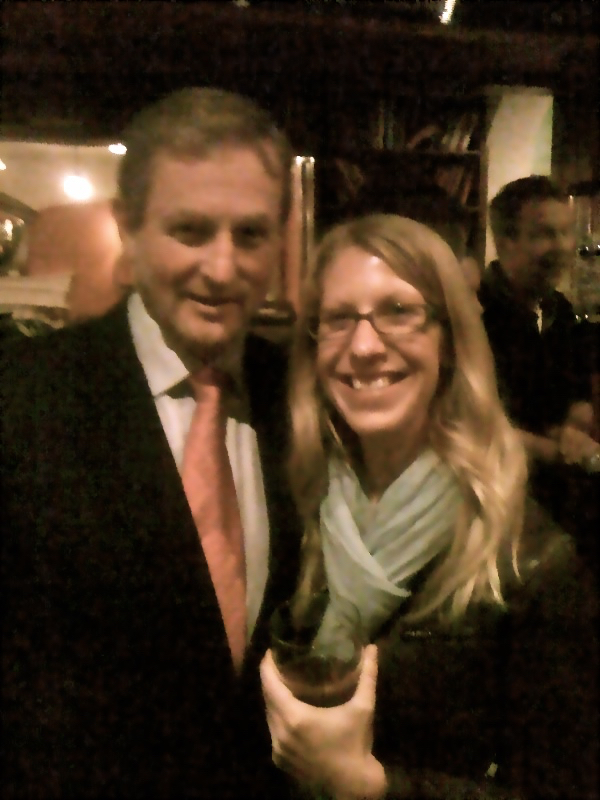 I’ve unknowingly shared a Guinness with Ireland’s prime minister and shook hands with the Dalai Llama. I was the youngest in my class to graduate with an MBA and landed a job as a management consultant with the world’s fifth largest accounting firm. Then in a blink of an eye, I found myself sitting in a doctor’s office with my heart in my throat as an oncologist explained that I had a rare and aggressive from of lymphoma and must begin chemotherapy in two weeks. The doctor guided me into the next room, pulled out an enormous corkscrew needle and slowly turned it into my spine to stage my cancer. My hair began to slowly fall out and I found evidence on my pillow, in my morning cereal and on my keyboard at work. It’s not hard to imagine falling from the top of world to the depths of despair. But that’s not what happened at all. Here’s what did happen. Chance encounters led to magic and I met my man of action a mere five months before my diagnosis. We sat on a park bench underneath a blue sky, never a cloud, and the sun dancing on the leaves of the island in the middle of the Potomac River. As I sprawled out on the bench swatting innumerable bugs out of my line of vision, brassy music interrupted my focus on my latest book. We crept to the edge of the island and watched as a bizarre scene unfolded before our eyes. I timidly giggled as I agreed to his unlikely proposal. If my doctor diagnosed me with cancer, we would rent the loud detestable pirate boat that disturbed the beautiful serenity as it floated past Theodore Roosevelt Island. The dye was cast. Bo taught me to emulate history and together we plunged into action. We set out to make a difference and rented a pirate boat to organize a fundraiser on behalf of the Leukemia & Lymphoma Society. 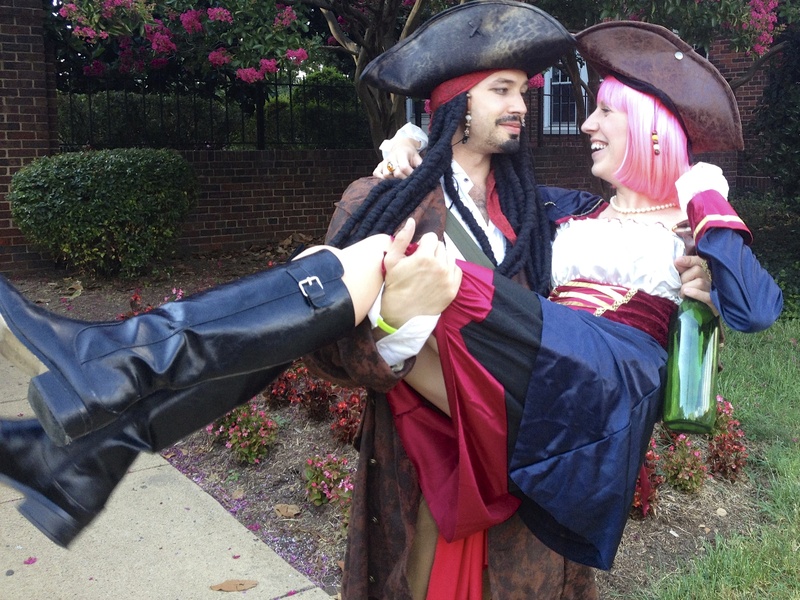 One week after my first chemo, all of my friends and family could be found dancing into the sunset dressed as pirates drinking that night’s special, the chemo cocktail. We didn’t stop there, we continued on to raise money for Light the Night. And then my Grandfather, who was diagnosed with Lymphoma only two years before me, passed away this fall. This pushed me over the edge. Moderation is for cowards and I need to do more. Bo and I put together our heads and combined our passions of history and business and Tours for Humanity was born. 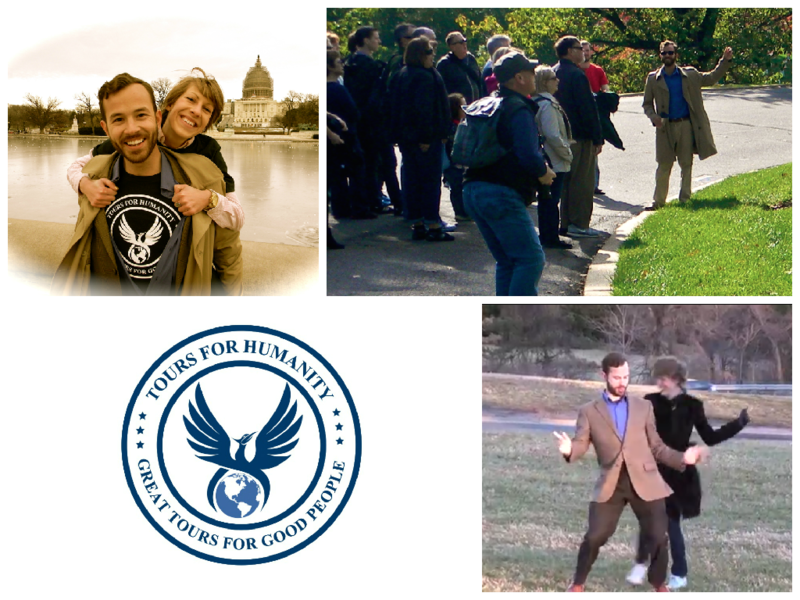 Our concept is simple, we use history to help people through giving walking tours of Washington, DC. At the end of the year, we donate a portion of our profits to charities fighting ignorance, poverty and disease, including the Leukemia & Lymphoma Society. Tours for Humanity gives us a wealth of another magnitude by enabling us to take action each day. Help us start our social enterprise, watch our video and support our cause here: http://igg.me/at/toursforhumanity. I used to wonder what my man of action was thinking in his heart of hearts after my diagnosis when life appeared as hopeless as a frost in the spring. My soul now knows the answer. He heard the music of history.